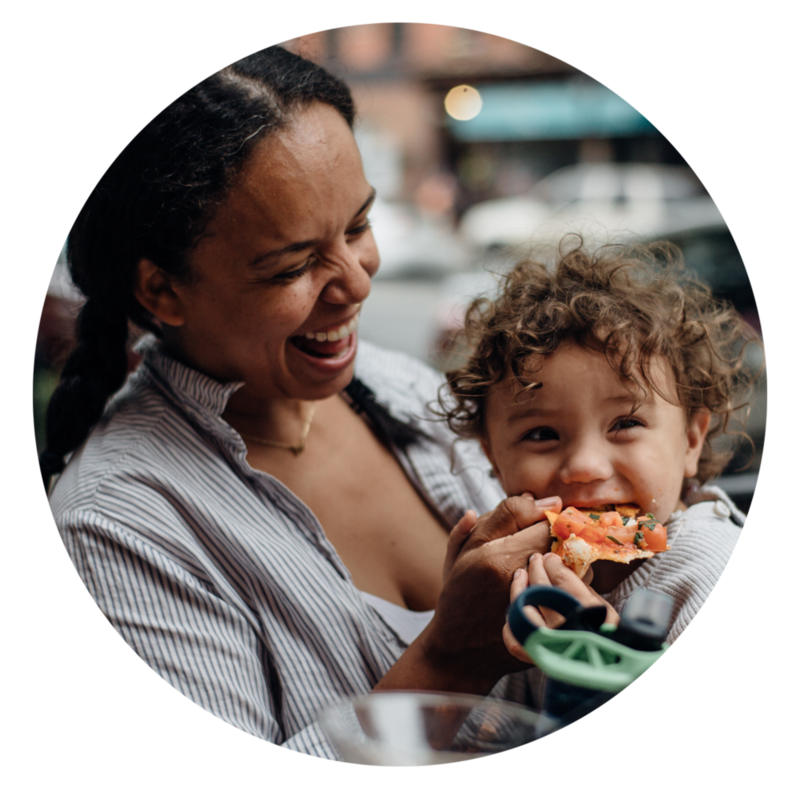 Rye and Butter is space where I share motherhood through my food journey with my son Rye. Adding Truffle Pesto to your toast will give it another layer of deliciousness! I am big fan of olive oil toast, but sometimes a girl needs to switch it up. I had made Truffle Pesto for a pasta dish and had a bunch left over and I wasn't in the mood to freeze it so I lathered lots of slices of bread with pesto and I had many mouth orgasms. Place the garlic and almonds into the bowl of a food processor and pulse several times. Add the basil, parmesan, and lemon juice and pulse. While the food processor is running, slowly add the olive oil and truffle oil in a steady small stream. Stir in some salt and freshly ground black pepper to taste. Drizzle olive oil over bread and spread pesto on bread, place on a baking pan or directly on the rack for about 10 minutes, flipping it halfway through. Cook until the bread is golden brown and pesto is dark green.